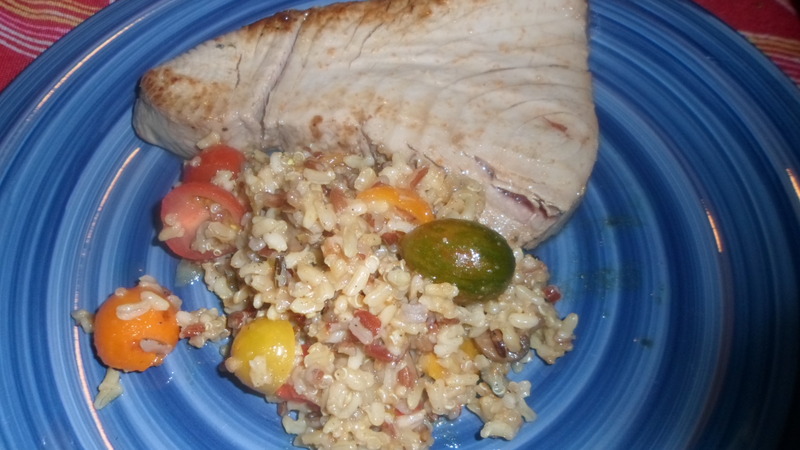 Fresh Yellowfin Tuna Steak – OH MY! 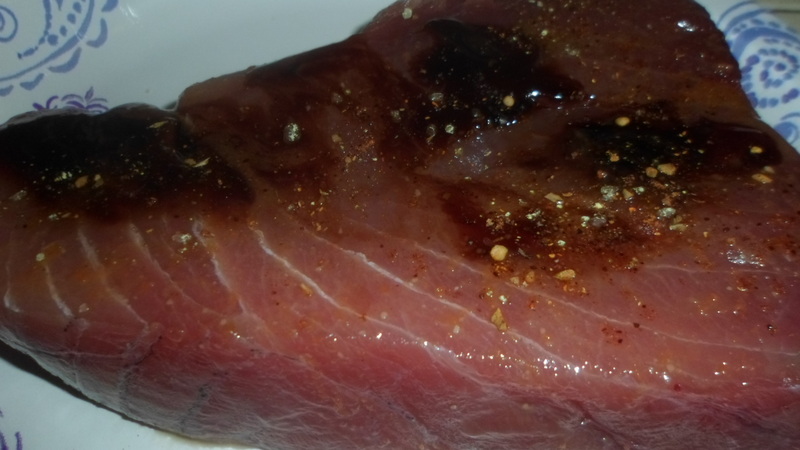 Sprinkle flavored salt and pepper liberally on both sides of tuna steaks. Rub with a little olive oil blend and let sit on a plate until it reaches room temperature. I topped mine off with a little balsamic glaze and miso ginger honey dressing. Teriyaki is also good. Heat skillet with a little coconut or red palm oil to high heat, almost to smoking. Sear tuna on first side until cooked almost halfway up the sides. Turn and sear other side.